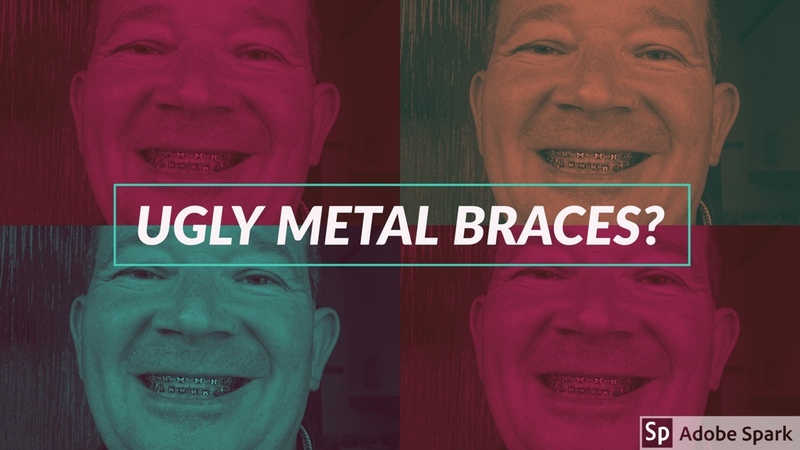 A while ago, I saw a tweet from one orthodontic practice who used the words ‘ugly metal braces’. As a former brace wearer who chose to have metal brackets rather than other options, I took exception to this and challenged the wording used. The tweet quickly disappeared and the practice hasn’t used this term since! In recent weeks I’ve seen a few more tweets, blog posts and advertising appearing which are using these terms or similar to promote other treatment options so I thought I would revisit this topic and write a post to support all those adults patients who considered their options and decided, like me, to go down the ‘traditional’ route. Brackets, whether they are clear, tooth coloured or metal all do a similar job in the straightening of your teeth. Yes, metal brackets are more visible but why does this matter? For many patients, they have put up with dental insecurities for a long time and when they find themselves in a position to start treatment, should not be pushed towards more expensive options by marketing aimed at questioning their treatment choice. Metal brackets are often cheaper enabling adult patients who would not otherwise be able to start treatment, to do so at a lower cost point and achieving the same result in the end. Metal brackets are easier to remove at the end of treatment and many patients report a more pleasant experience when it’s time for the ‘de-bond’. Metal brackets can also make your teeth appear whiter during treatment, particularly if you choose coloured elastic modules that accentuate your teeth’s natural whiteness. You only have to read some blogs or watch some video’s on YouTube to realise that there are many reasons why adults choose to have metal brackets and these include comfort, wanting to explore different coloured modules, size of the brackets, smoothness and many more. Promotional material can sometimes suggest that you may wish to hide your orthodontic treatment as an adult and in a number of cases this can certainly be true but for the majority of people, no one really cares that you have braces and people very quickly stop showing any interest in your treatment. Without exception, all the adult patients I have spoken to who have metal brackets were pleased with their choice and didn’t regret their decision. They were all proud they had started treatment and saw past the biased marketing material and realised that metal brackets offered them advantages that outweighed any negativity associated with increased visibility. 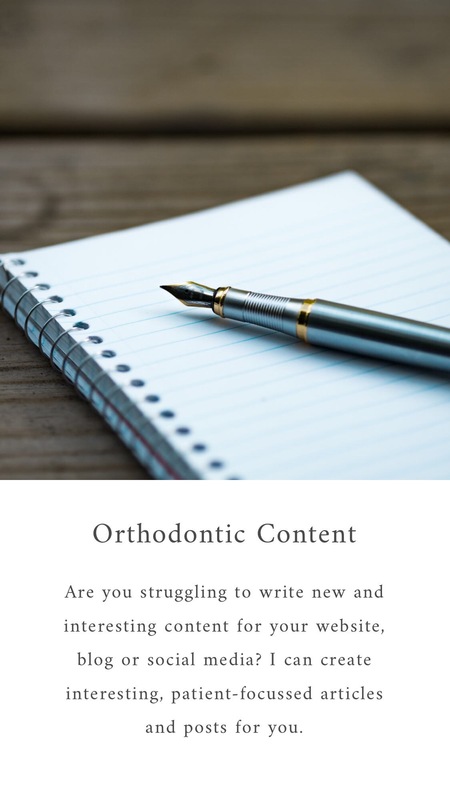 I’m certainly not against clear brackets and other forms of orthodontic appliances that are less visible and understand that many people would choose these for very valid reasons. What I’m not happy about is seeing marketing and advertising material that promotes one product over another one which has the potential to cause hurt or distress to people. Patients who have chosen metal brackets know they are more visible, know that they may have to show their id more often (lucky them!) or that they may feel the need to justify their choice more to their friends and family. They don’t need orthodontic practices and suppliers to fuel negative associations with traditional brackets and wires. Suppliers of clear brackets and other solutions such as aligners can promote their products on their own merits very easily without the need to use terms like ‘ugly metal brackets’ or ‘unsightly wires’ so isn’t it about time for orthodontic practices to review their advertising material, blog posts and social media to ensure patients get a balanced exposure to all the great solutions available? In doing so, is it possible that someone who would not otherwise be able to undertake treatment, will do so using traditional metal brackets? A benefit to both them and the practice they start their treatment with.